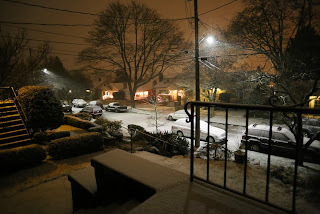 Most years, Seattle gets a few moderately snowy days like this one. It is typically heavy and wet snow that doesn't last long. This snowfall was mostly melted by noon.